Earlier this week, we noted that Apple had offered royalty-free licensing of its proposed design for next-generation "nano-SIM" cards for use in devices connecting to cellular networks, on the condition that its design be selected and that other rights holders offer similar licenses to encourage adoption. But as reported by FOSS Patents, the European Telecommunications Standards Institutes (ETSI) has postponed any vote on selecting a standard as the various companies proposing designs continue to squabble over the issue. According to the report, the participating companies have failed to reach an agreement and decided not to hold the envisioned vote. In accordance with ETSI rules, the vote will now have to be postponed by a minimum of 30 days. It appears that Nokia's overt unwillingness to license its potentially essential patents in the event that Apple's nano-SIM proposal is adopted and Sandisk's resistance to Nokia's proposal have resulted in an impasse. Sandisk, too, holds patents that may be essential to a new SIM card standard. Apple is also coming under fire from the other participants in the negotiations, with Research in Motion accusing Apple of hiding its efforts to stack the voting panel by having at least three of its employees re-register for voting purposes as representatives of various carriers. The RIM letter, which was submitted Wednesday, states that RIM over last few days has observed a number of people from one company changing their affiliation and registering to the meeting representing a completely different company. But voting by proxy during a technical body meeting is not allowed, according to RIM. The letter highlights four examples, including three supposed Apple employees who have registered for Bell Mobility, KT Corp. and SK Telekom. Since voting by proxy isn't allowed, they should not be allowed to take part in the proceedings, according to RIM. Apple's proposal is supported by most of the carriers, although it is unclear exactly what Apple's justification is for changing the registered affiliations of its representatives ahead of the previously-planned voting. Seems you don't read the articles fully or don't follow the story correctly. In the leaked docs, it was shown that Apple's proposal actually increases the total area of the sim area(with the required tray). So though actual Sim size is smaller, it requires a tray which in turn increases the space rather than what many uninformed folks like you believe. Go and read the leaked documents on The Verge or on MacRumors. (not sure, if it was published here). Nokia's design actually reduces the total sim area giving the benefit of more space for battery and other components as you mentioned. Open your eyes and ears and then comment. RIM is going to complain because their marketshare is slipping rapidly. Apple & Android dominate the US marketplace. Other companies do not have the nearly inexhaustible supply of funds for R&D or to build their specialized machines and factories around a specific design. This would benefit Apple by enabling them to put more buttons and/or more battery in the area comprised by the current SIM. Other companies, who are hard pressed to make their phones smaller, but maintain battery life and/or without getting overly hot (or melting their plastic components) the way Apple can, because they cannot keep up on the development end. If I were one of the competing companies and I knew that the smaller SIM would in no way benefit my product, but would give a competitive edge to my greatest competitor, Apple, I'd vote against it, too. Apple will have to come up with another enticing carrot for the competitors if they're going to agree and bite. Android might be on board, but the other smaller manufacturers probably don't see why giving their big competitors more of an edge against them is a smart move. I dont see why they wont just switch to a Nano sim, will benefit everyone as will free up space and apple have said that they will give the free license out?.. Go and read the actual leaked docs and then see whose design actually frees up the space. You will be surprised to know that you were sleeping till now. as long as you can use an adaptor to make it a full size sim card so you can switch it to any other phone, I don't care which one wins. I definitely never ever want no sim at all, what do you do if you you want to take a cheap rubbish phone on a night out? Raise your hand if you are sick of the endless patent BS! SIM cards allow easy switching of phones, but not sure how applicable it is in today's smartphone world. I guess they will have to include tweezers and a magnifying glass along with the sim- eject tool in the iPhone 5. Don't care about what SIM cards are used TBH, but.. Apple don't stoop so low as to break voting rules!!! C'mon really? I think Micro-Sims are small enough, we're at the point where Phones are actually getting bigger, not the other way around. I am guessing the competitors is seeking new licensing fees? What's happening is Apple is trying to seek more votes than they have, putting them in a winning position. If they win, the deal is they offer their design royalty free, but in exchange, anyone that Apple has a licensing deal with had to offer their patents for free. In essence, if this goes through Apple will have successfully strong-armed their competitors into "letting" Apple use their IP for free. Apple won't "make" money, but they'll "save" money. As the expression goes, a penny saved is a penny earned. Apple's competition - e.g. every other phone company - doesn't like this because they 1) Make money off of their IP, and 2) because Apple's idea is arguably worse. The only thing gained by siding with Apple is lost IP revenue. Actually, just last year I was shocked when a Japanese exchange student of mine told me that in Japan they DON'T use SIM-cards. Every phone has a unique identifier -- and apparently, at least in Japan, they use this ID as THE sim card. Really, all a sim card is (in smart phones) is an ID that communicates with the telco and gets permission to make and accept calls. Back in the old days SIM cards would also be used to hold contact data etc. but this has all since been passed on to the device's internal storage. Every wonder how you can still use a sim-less phone to call emergency numbers? So yeah -- SIM-lessness is possible, but you'd have to get networks the world over to do business nicely with each other. 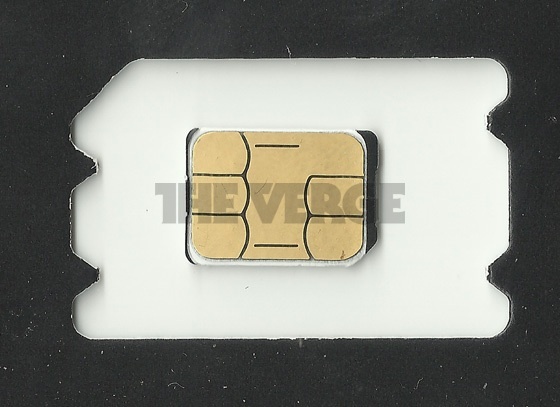 Can you imagine a person switching from one network to the other and the amount of work the networks will have to process then -- rather than just relying on easily-swappable SIM cards? Yeah, that'll be the day. I can store contact information and text messages on my SIM, and I do. I realize that I'm in the minority, but it's nice to have all the same. I'd be sad if that functionality went away. If you read the descriptions of the Apple, Nokia and RIM proposals for the nano-sim, Apple's is the largest and requires the use of a tray. The only advantage it has is that it's backwards compatible. Plus Apple is using shady tactics to get their design to be the winner.